If you have ever lost someone close to you, the grief and is something you understand. You would undoubtedly prefer to spare your loved ones from having to go through that same grief following your own death. Unfortunately, there is no way to shield your loved ones from the emotional impact of your passing; however, you can spare them most of the stress and anxiety associated with planning and funding your funeral and burial by planning everything yourself within your estate plan. If you do decide to add a funeral planning component your estate plan, you will likely consider entering into a pre-paid funeral plan with a local funeral home. The Indianapolis elder law attorneys at Frank & Kraft help you decide if buying a pre-paid funeral plan is right for you. Arranging for the disposition of the body. Decide if the decent is to be cremated or buried. If he or she will be buried then will be embalming be required. This can affect other decisions because most states have a time limit for burial for bodies that are not embalmed. Choosing products. Things such as a casket, outer burial container and/or urn must be selected. If the decedent will be buried, will he/she be placed in a plot, vault or mausoleum? Open or closed casket? Decide whether the casket will be open or closed and pick out clothing, jewelry and any other personal items that will be buried with the decedent. Decisions relating to the service. Where and when will the service be? Will the service be religious, military, fraternity, or a wake? Will there be a calling time? Who will speak at the service? Music, flowers, a registry book, and prayer/memorial cards as well as scriptures, readings or poems must be selected. Photos of the deceased or a video montage are often part of a service. Choose an officiant. Decide who will officiate the service. Make logistical decisions. Transportation to and from the service must be arranged. The lineup for the procession must be decided as well as seating arrangements for the service taking into account relationships between the guests. Pallbearers must be designated. With raw emotions, it is also easy to see how conflicts frequently occur when all of these decisions must be made just days, or even hours, after losing a loved one. Along with the emotional impact your death will have on your loved ones, they will have to pay for your burial and funeral if you did not already do so. 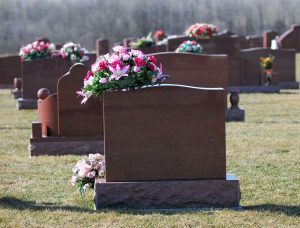 As of 2018, the average cost of a basic funeral is over $10,000 – and that price doesn’t include many of the extras that most people want at a funeral, such as flowers and music. Grieving survivors often end up spending even more than is truly necessary if they are forced to make decisions just days after suffering a loss. Is a Pre-Paid Funeral Plan the Answer? Changes are difficult, if not impossible, to make. Pre-paid funeral contracts lock everything in as of the date you execute the contract. Pre-paying at today’s prices is the incentive to enter into these contracts; however, you are also locking in all the details of your funeral. If you decide you want something different, such as to be cremated instead of buried or to be buried next to a new spouse because you remarried, you probably cannot modify the terms. You cannot know with certainty where you will be living. You may plan to remain where you are, but you simply never know. A late in life love and remarriage, grandchildren, or even health issues could all cause you to move to another city or state, making your funeral plan worthless. The funeral home could go out of business or end up in bankruptcy. This happens more often than people realize. If you enter into a contract when you are 60 and live to be 85, a lot can happen to that business in the intervening 25 years. 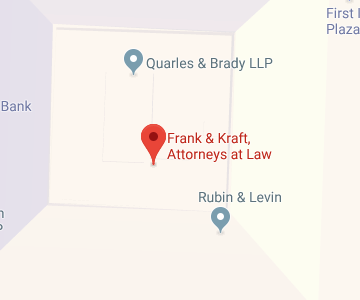 Disputes cannot be litigated. 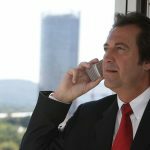 Unlike most contract disputes, litigating a dispute over a pre-paid funeral contract isn’t a viable option because there is a very small window of opportunity for the contract to be fulfilled – and the family and loved ones need it to work flawlessly or it is really of little use. Talk to your elder law or estate planning attorney about creating a funeral trust instead of purchasing a pre-paid funeral plan. A funeral trust allows you to fund your funeral, choose someone to be in charge of the funeral and service, and lets you make legally binding decisions about how your body will be handled and even decide details of the service to ensure that your wishes will be honored. For more information, please download our FREE estate planning worksheet. If you have questions or concerns related to funeral planning, contact the experienced Indianapolis elder law attorneys at Frank & Kraft by calling (317) 684-1100 to schedule an appointment.